Glowing with the warmth of the sun Whistler looks pretty good in the summer if we do say so ourselves! The best part? 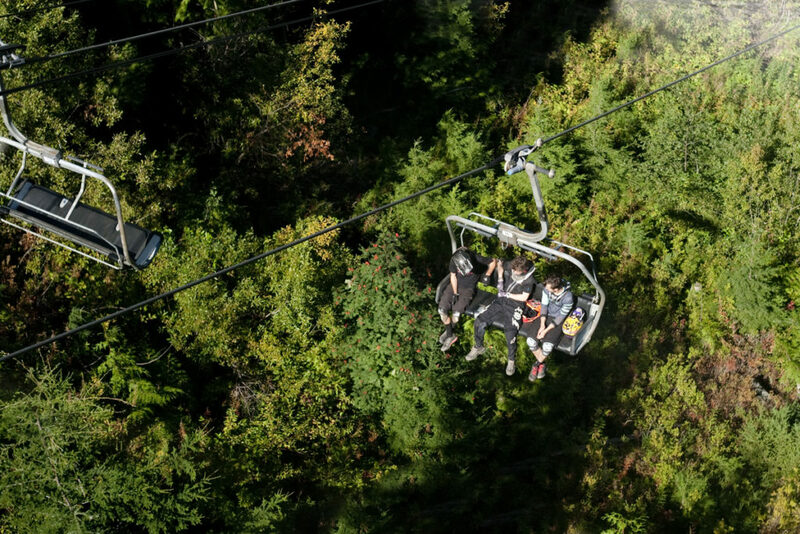 There’s no shortage of ways to make the most of the lack of snow, especially since Whistler Blackcomb has extended summer hours – hello multi-activity days! Here’s what you need to know when it comes to making the most of your summer Whistler Blackcomb visit. There are a few ways to get up the mountain and get down for that matter. All bike access lifts start spinning at 10am from both the Whistler base and Creekside. Garbanzo Express, Big Red Express Chair, and Peak Chair all open at 11am as they are mid-mountain access points. Peak Chair is home to the notorious Top of the World trail – get it while you can because Peak Chair is the first to close at 4pm. The Whistler Village Gondola and Big Red Express stop at 5pm but don’t fret; there are other lifts that will keep your two-wheeled pony happy. Garbanzo Express will bump you halfway up the mountain until 7pm and Fitzsimmons Express, the main artery of the Whistler bike park located at the base of Whistler Mountain will keep you lap happy until 8pm. And with over 75 bike trails on Whistler Mountain, you’ll need all the daylight you can get. Study up on the bike park map and don’t forget to check the status of your favorite runs in-between laps here. If you follow Whistler Blackcomb on Instagram you’ve surely seen the new Peak Suspension Bridge. After personally checking it out recently I can testify that the hype is real. Experiencing the rushing wind, slight sway of the bridge and the views above and below my feet was a most definitely a thrill. Ride the Peak Chair up from 9am-4pm this summer to see it for yourself! Peak chair also offers a landing pad for epic views of the surrounding mountainscape, interruptive walks, and hiking trails. Sightseeing simply cannot be mentioned without including the Peak to Peak. 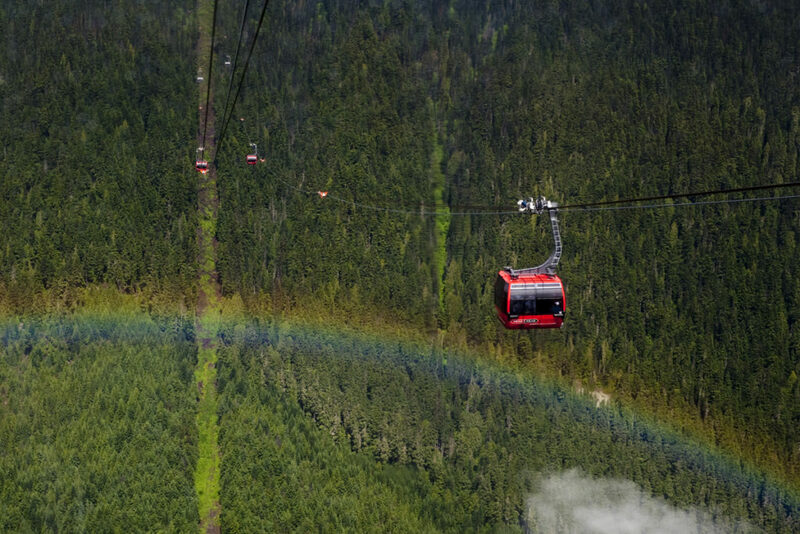 The gondola connects Whistler Mountain and Blackcomb Mountain and is listed as Guinness Book of World Records as the highest and longest lift. Hiking trails and short interruptive walks stem from both Rendezvous Lodge and Roundhouse Lodge on either side of the Peak to Peak which is accessible from 10am-5pm via Whistler Gondola which runs 8:30 am-5pm. Until July 15th the 7th Heaven Chair will operate to allow for sightseeing atop Blackcomb Mountain daily from 10am-2:45pm. 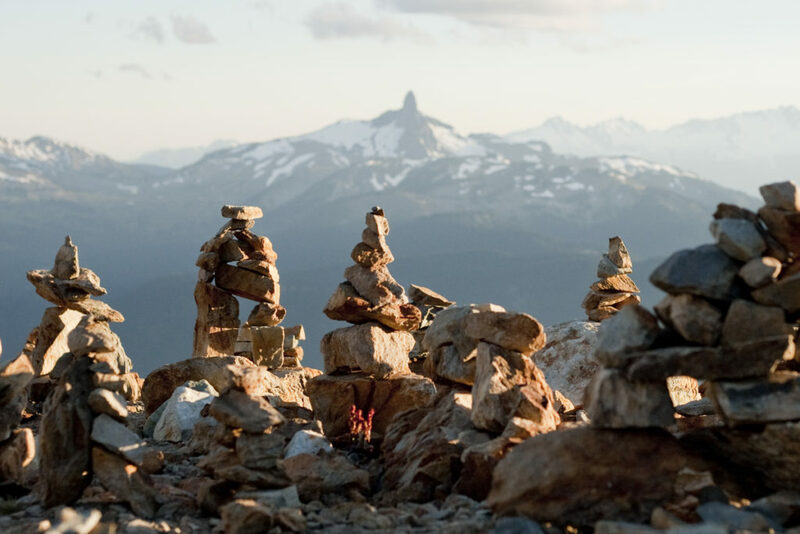 A sizeable menu of hiking trails are available on both Whistler and Blackcomb mountains. Trail lengths range from 1km to 10km with options to push your hike further into the nearby Garibaldi Park. If a day hike is on your radar, hiking from either mountain will give you a quick reward as your start in the alpine and work your way past subalpine lakes, through wildflowers and enjoy the ever-changing views. There are over 50 km of trails to explore within the resort’s boundaries. 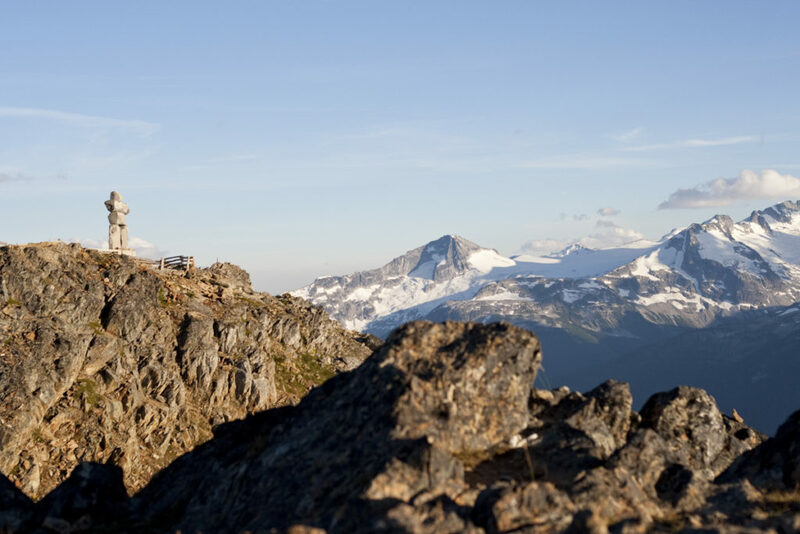 All alpine hiking is accessible via the Whistler Gondola and either crossing the Peak to Peak to access the Blackcomb trails, or by taking the Peak Chair on Whistler. Please note that there are a handful of hikes including the seasonal snowwall hike leave from the Roundhouse on Whistler Mountain. Keep your return time in mind as the last lift down is at 5pm. Pro tip, download the hiking trail map and check the trail status online before you go for a flawless experience. This season the Ascent trail that starts from Upper Village will be closed due to all of the exciting lift development on Blackcomb this summer in preparation for a new winter experience. Situated on the Roundhouse patio the new Roundhouse Lodge Umbrella Bar is the perfect way to wrap up any day on the mountain. With floor to ceiling windows, you won’t miss a view under the heated Umbrella bar. Kick up your heels after a big day exploring our backyard and sip on a Canadian classic beverage while you watch the sunset behind Rainbow Mountain across the valley. 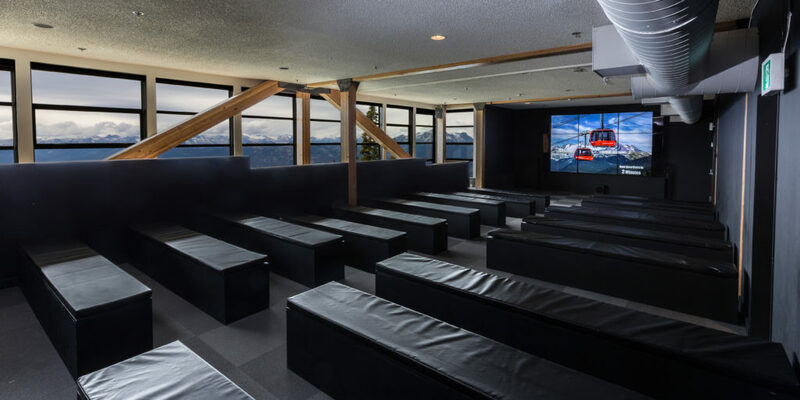 Beat the heat or rest your legs at the Samsung Alpine Theatre located in Rendezvous Lodge on Blackcomb Mountain. The big screen provides an educational insights and history to the sights you’ve seen or are about to embark on. Admission is free with your lift ticket and is an enjoyable change of pace the whole family will appreciate. Open daily from 10am-5pm. Extended play is on now until September 3rd, 2018 – you can keep tabs on the current hours of operation here. Longer days mean special events like the mouth-watering Mountain Top Summer Feast. Sunset, live music and a hearty bbq, sounds pretty good right? 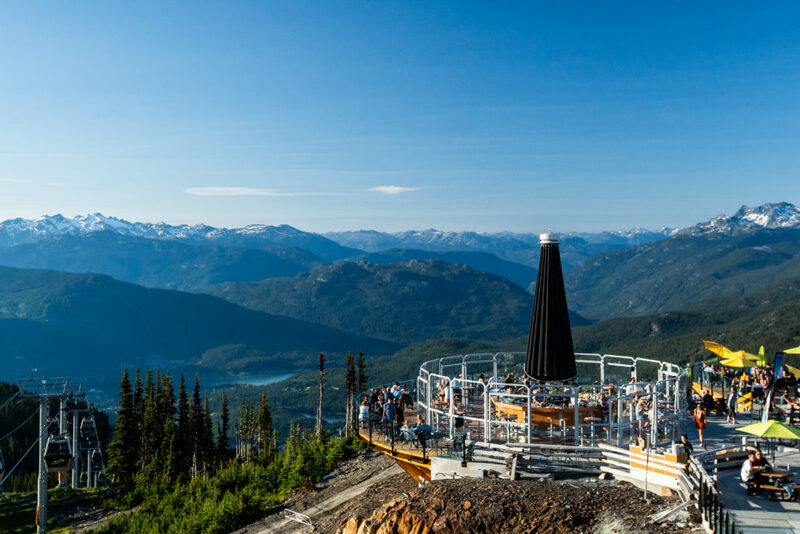 Now elevate that experience, literally and that’s one memorable and tasty evening on Whistler Mountain! Extended hours also offer more time for all types of adventures, go further hiking, linger longer while sightseeing or sip a little slower at the Umbrella Bar! Make the most of summer by milking the sunlight.